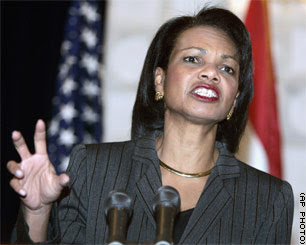 Now how is Condi going to keep the press corps in line?! With her piano playing and Lucy Van Pelt hairdo? I hear both are hypnotic. Now THAT makes me sad!